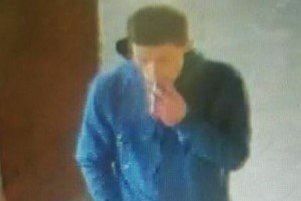 CCTV has been released of two men wanted in connection with a burglary at Fantasy Island in Ingoldmells. Two men gained entrance to the Odyssey cafe in Fantasy Island in the early hours of September 19. It is believed a quantity of alcohol and chocolate was taken from the cafe. If you know anything about this incident, or you can help police identify the men in the images, call 101, quoting incident 63 of September 19, or email force.control@lincs.pnn.police.uk – please put Incident 63 of September 19 in the subject line. Alternatively call Crimestoppers, anonymously, on 0800 555111.